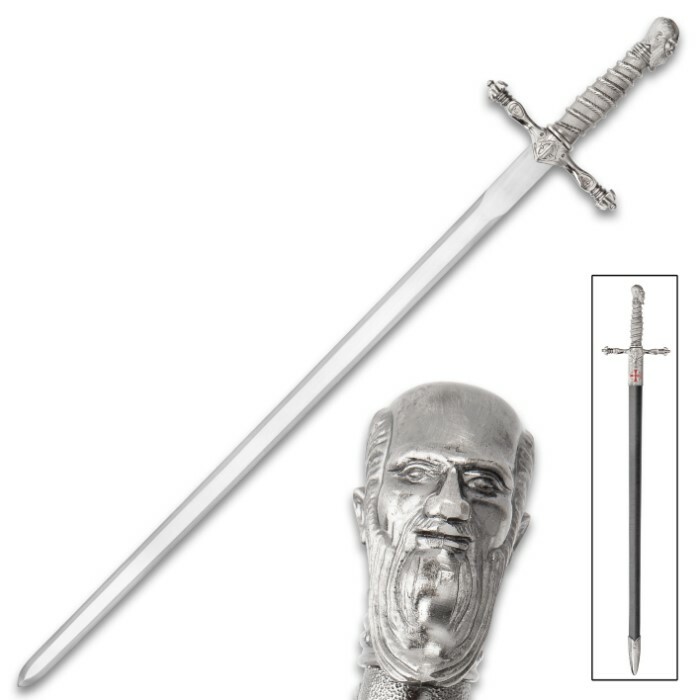 Inspired by popular video game culture, our Dark Assassin Broad Sword With Scabbard is a magnificent fantasy sword to add to your collection. 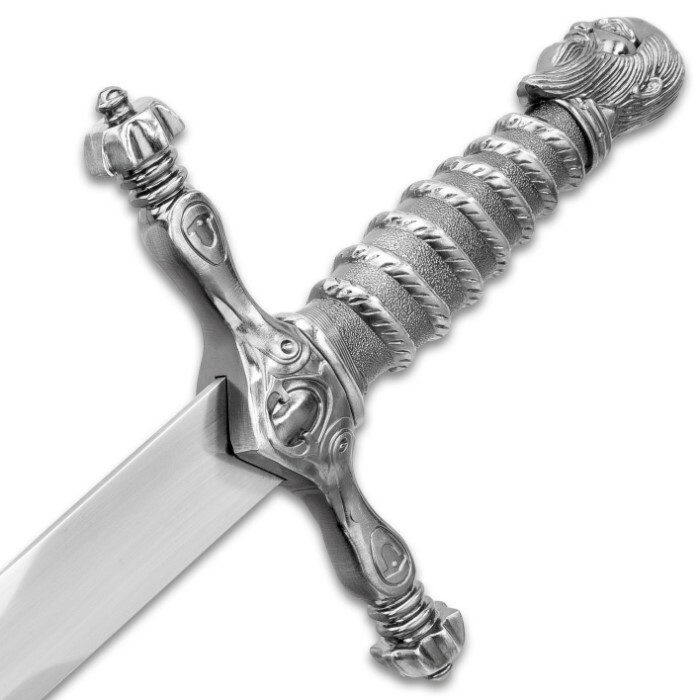 It has a 30 1/4” stainless steel false-edge blade and the intricately detailed handle and crossguard are both crafted of metal alloy and TPU. 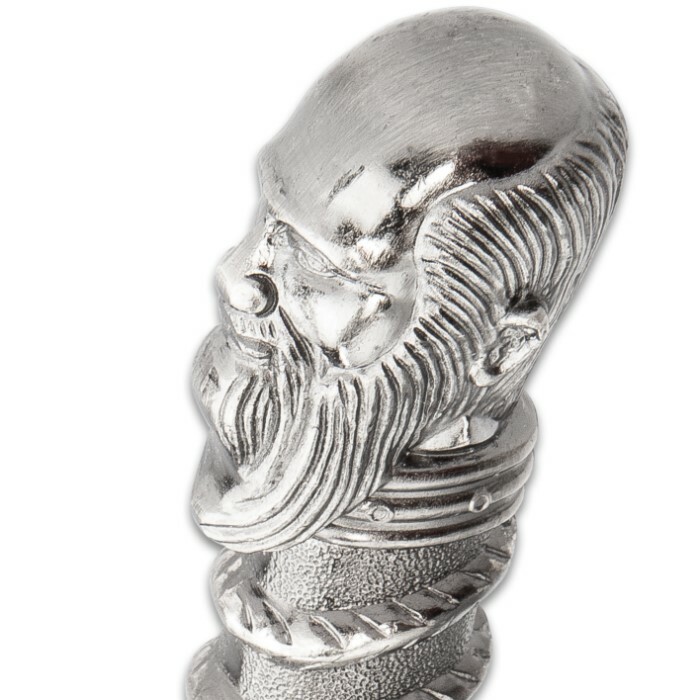 The handle has a unique wrapped look design and a bearded figurehead serves as the pommel. The blade slides securely into a black faux leather wrapped scabbard, which features metal accents at the tip and mouth. 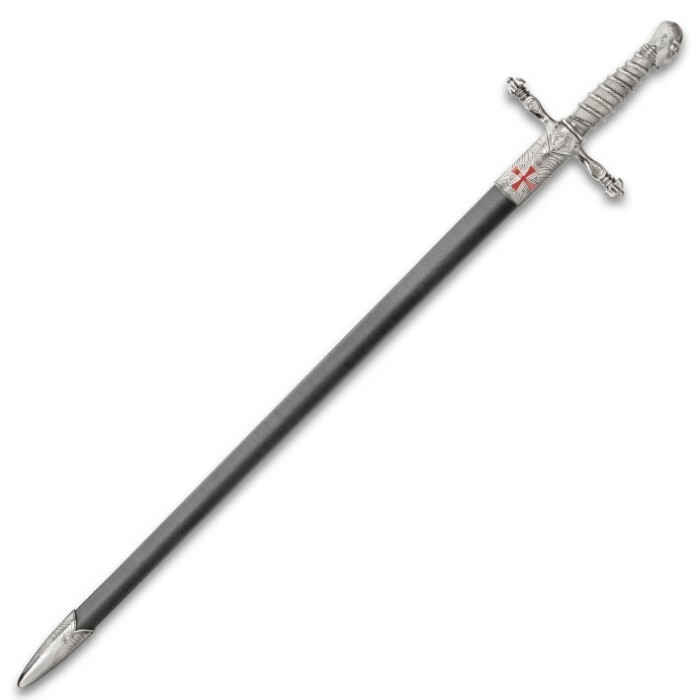 A red, equal-armed star is emblazoned at the top of the scabbard.